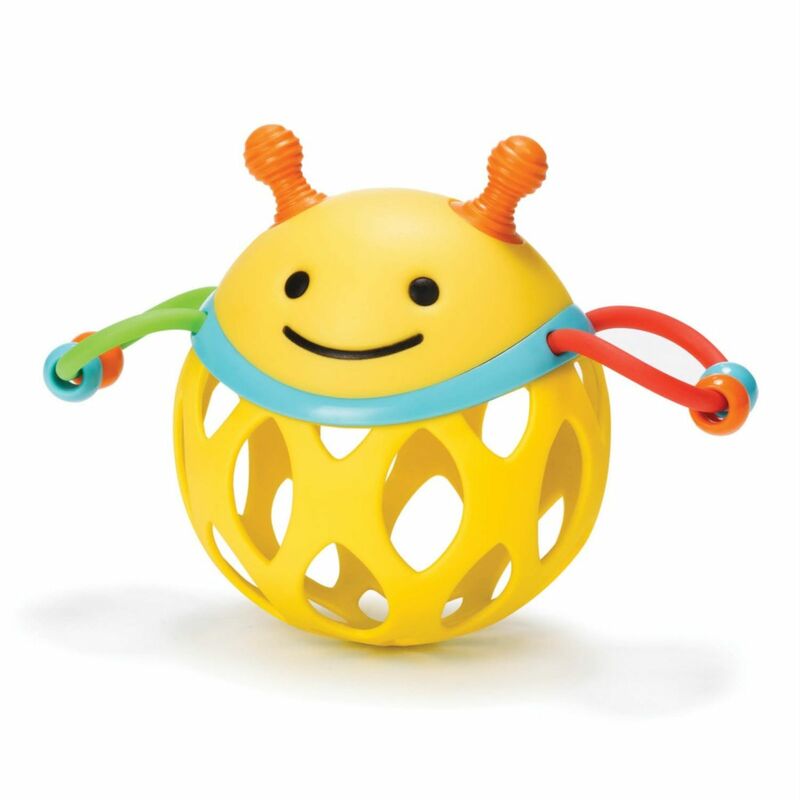 The Explore & More Roll-Around Rattle from Skip Hop provides plenty of stimulus to keep baby happy and entertained. The rattle beads are great for auditory development and the strong vibrant colours are excellent visual stimulation for baby too. The adorable animal character shape has a flexible body with rubberised details which is ideal for teething and to soothe sore little gums. The rattle encourages rolling, shaking and tossing for early-stage developmental play and is made using 100% baby-safe materials.